Physics and chemistry of graphene and graphite: from science to applications. Graphene continues to be in the focus of scientific and practical interest thanks to its unique properties and promising potential applications. Crystal structure and electrons in graphite and graphene provide many opportunities for observation of different quantum confinement-related effects. In high magnetic fields, electron-phonon coupling in graphite causes shifts and splits of the G peak in Raman scattering spectra as a function of magnetic field. These magnetophonon resonances are due to the magnetically tuned coupling of the E2g optical phonons with the K- and H-point inter-Landau-level excitations. Polarization-resolved Raman spectroscopy of graphene in magnetic fields up to 45 T also reveals a filling-factor-dependent, multicomponent anticrossing structure of the G peak, resulting from magnetophonon resonances between magnetoexcitons and E2g phonons. Electronic Raman scattering in graphite in a strong magnetic field manifests itself via a series of spectral lines, ascribed to inter-Landau-subband transitions. Each line exhibits strongly temperature-dependent line shape caused by the shake-up electron-electron interaction, which was described in the frames of the Tomonaga-Luttinger theory. Quantum Hall effect (QHE) in graphene may be used for infrared photodetection that functions at temperatures of liquid Nitrogen in vapor evacuation regime. This result opens up the possibility of wider use of QHE photodetectors. Inhomogeneous graphene is another interesting platform for investigations of quantum confinement phenomena. Recently, we discovered a previously unobserved type of electronic state with a relatively strong optical response tied to the interface junction between graphene sheets with different number of monolayers on each side of the junction. We revealed the capability of graphene interface junctions to form 1D electronic states, whose properties can be used for electronic and optoelectronic applications. 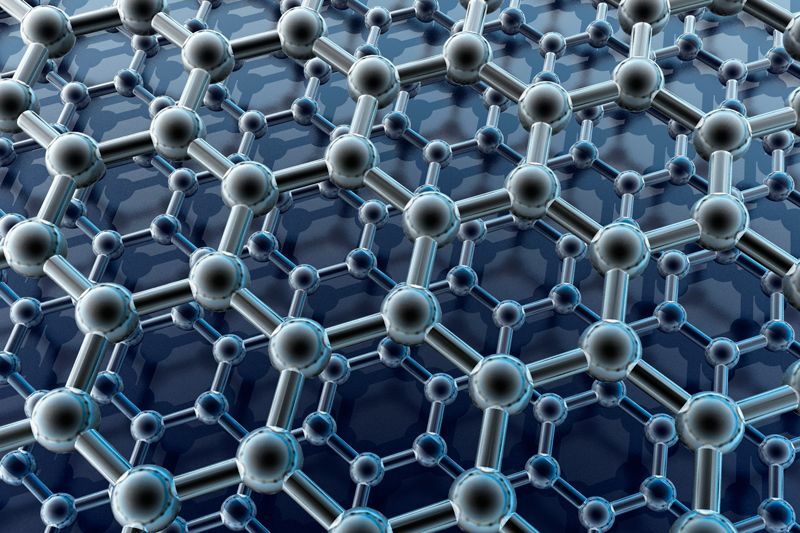 In recent years, chemical modifications of graphene have further broadened its appeal and possibilities. Our research, initially driven by a purely academic interest in the covalent attachment of functional groups to graphene, has recently progressed toward an exciting avenue of graphene biochemical and pharmaceutical applications. In particular, the tetracyanoethylene oxide (TCNEO) attachment to graphene introduces reactive cyano groups to the material, opening a wide spectrum of possible secondary modifications and uses. For instance, we have found that mesoporous three-dimensional graphene nanosheets (3D GNS) functionalized with TCNEO and (S)-(+)-2-pyrrolidinemethanol can work as chiral stationary phases (CSPs) for chromatographic separation of chiral pharmaceuticals . Graphene-based CSPs are chemically stable and up to an order of magnitude less expensive than standard silica-based analogues.